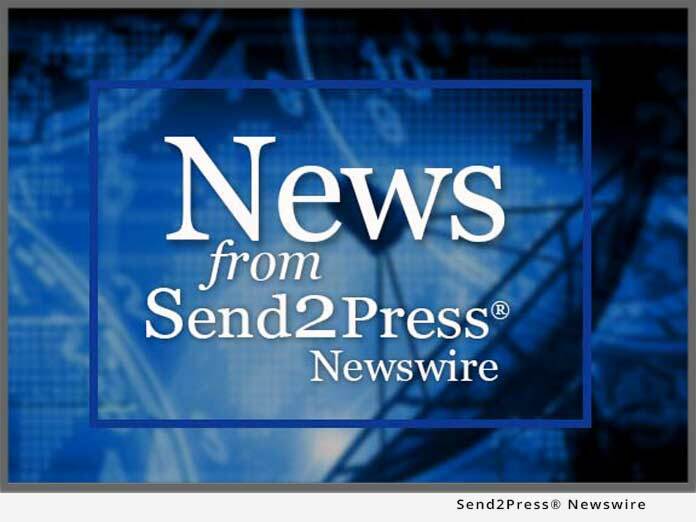 REDONDO BEACH, Calif., July 11 (SEND2PRESS NEWSWIRE) — Publishers Newswire, an online resource for small publishers and first-time book authors, has announced its latest quarterly “Books to Bookmark” list, for Q2/2008. This list is a roundup of new and interesting books which are often missed due to their nature of not originating from “name” authors, or major publishing houses. The following list of books are provided as “worth a look” for media and booksellers, as well as avid readers of new and unique literary content. To view these and other book information, in detail, visit: publishersnewswire.com/book_news.shtml. For a book that Midwest Book Review has highly recommended as an involving novel about an awakening sense of social responsibility, Joe Redden Tigan has received both the Editor’s Choice and Reader’s Choice designations from publisher iUniverse for his first novel, “Waggle” (ISBN: 978-0-595-41619-6). International arbitrator Mark Kantor announced today his new book, “Valuation for Arbitration” (ISBN: 9789041127358) available from Kluwer Law International. Valuation for Arbitration provides a clear understanding of the nuts and bolts of valuation approaches for litigation about business investments, including market, income and asset-based methods. Finally, after several decades of secrecy, an unusual and compelling true story of deception and subterfuge is finally told. This book is an in-depth look at one man’s harrowing experience with the United States Government as a Psychic Spy. Now, 40 years later, Philip Chabot finally tells his story with his new book, “Operation Blue Light: My Secret Life Among Psychic Spies” (Cherubim Publishing). There’s a new erotica writer on the block – U’nyque – and she’s making her presence known in a newly-released, mature audience book, “Up the Street, Down the Block & ‘Round the Corner” (ISBN: 978-1-4196-8863-8). The novel is now available at Baker & Taylor, Abebooks.co.uk, and Amazon.com. Have you ever watched yourself as you suffered? Perhaps hurting through jealousy, anger, fear, boredom, insecurity, stress or worry. If you had done so, and watched yourself impartially without judgment, criticism or comment, something very interesting would have happened. The suffering would start to diminish. Robert Egby’s book “Cracking the Glass Darkly” (ISBN: 978-1-4343-4901-9, AuthorHouse) shows a way out. Wondrous and enchanting yet fragile and at risk, “The Natural World” (ISBN: 978-189031042-4), as seen through the eyes of celebrated nature photographer Thomas D. Mangelsen, chronicles ten distinct ecosystems that serve as islands of refuge not only for Earth’s diversity of life but for the human spirit as well. Keeping the forces of darkness away from his patients for the past twelve years has given cardiac nurse and published author, Paul Genesse an insight into what it takes to be a hero. “The Golden Cord, Book One of the Iron Dragon Series” (ISBN: 1594146594) is his debut novel from Five Star Books. Author D.L. Carroll announces children’s chapter book, “Sir Licksalot & The Maverick Fools” (ISBN 1-60474-917-2, PublishAmerica.com) for Ages 9-12. Author D.L. Carroll intertwines alienation, adventure, and tween humor as the story of one boys struggle to fit in unfolds. This story demonstrates the acceptance of individuality and the power of friendship. Using dialogue children can relate to, the author captures even the most reluctant reader’s attention. 7.3 million women experience infertility each year in the U.S. alone. In fact, 1 in 5 women have difficulty conceiving as more women than ever are having their first or subsequent child after the age of 35, a contributing factor of infertility. Enter Dr. Robert Greene’s forthcoming book, “Perfect Hormone Balance For Fertility: The Ultimate Guide to Getting Pregnant” (ISBN: 978-0-307-33740-5). Ethan Crownberry announces the release of three great stories. His Poetic Adventures series offers children and adults the opportunity to explore the worlds of Bobby Bumble, an acrophobic bumblebee in “Bobby Bumbles Afraid to Fly” (ISBN: 978-1-4357-0049-9, Lulu.com), a goldfish with a life changing decision in A Fish with a Wish, and a spooky night in the life of 12 year old boy in The Willies. With her endorsement of presidential candidate Barack Obama, Oprah is making known her views on the need for healthcare reform. But controversial sculptor Daniel Edwards is urging talk show host Oprah Winfrey to do more by taking the time on her show to reach out to the recently retired baby boomers for whom healthcare reform will come too late. A new book, “The Oprah Sarcophagus” (ISBN: 1438206429), offers a behind the scenes look at the making of the sarcophagus. Knowledge Publications, a leading publisher of energy books, has put significant portions of the chemistry content of the free online encyclopedia, Wikipedia.org, in full published, printed book form and has done so in full compliance with Wikipedia’s GNU Free Documentation License. The book is titled, “The Chemical Educator: for The Chemistry and Manufacture of Hydrogen” (ISBN: 978-1-60322-067-5). Solving Light Books announced the release of its new title by Robert Bowie Johnson, Jr., “Sowing Atheism: The National Academy of Sciences’ Sinister Scheme to Teach Our Children They’re Descended from Reptiles” (ISBN: 978-0-9705438-5-1). Mr. Johnson, who holds a general science degree from West Point, wrote “Sowing Atheism” in response to the book, “Science, Evolution, and Creationism” published in January by the National Academy of Sciences (NAS). Dream Board Publications LLC’s highly anticipated book “21 Days To Creating Your Dream Life” (ISBN: 978-0-9816275-0-2) by Stephen Mark, is an entirely new type of book combining self help with hands-on tools. The book’s story takes the reader on a journey, a journey of creation. “The Human Pack” (ISBN: 978-1-4196-7578-2, Booksurge.com) serves to educate readers about the intricate language of canines as well as how best to use this knowledge in order to create a harmonious “Human Pack.” Clinician Lewis also explains how to deal with canine behavioral problems in a way consistent with her gentle approach to training and bonding with dogs. Taylor Wilshire, award-winning author of “The What-If Guy,” brings inward and outward balance for moms in her new novel, “The Book of Mom” (ISBN: 978-0-9778018-1-7, Nautilus Press). Inspirational and thought provoking, “The Book of Mom” embraces the core of motherhood as it takes readers along on a journey of self-discovery and healing. More information on these and other books, visit: http://www.PublishersNewswire.com.